Back in the 00’s WordPress was just a blogging platform with little possibilities for business. But today there is no shortage of corporate themes with conversion-optimized layouts and extensive marketing options. The problem is that each particular business requires a different approach to design. A website of a hosting provider will differ greatly from a website of a Chinese restaurant – in terms of both design and functionality. Today we would like to present to you our list of best templates for the most popular areas of business. 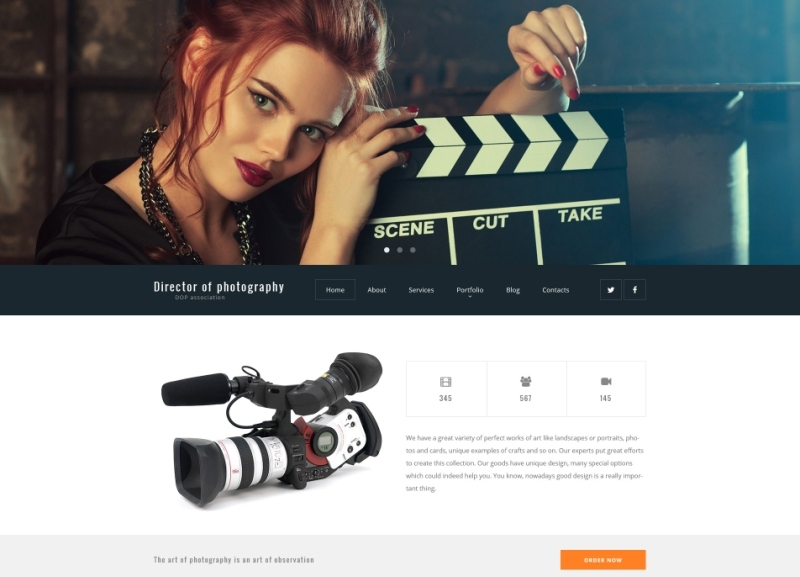 Here you will find professionally crafted themes for photography portfolios, clothes companies, real estate firms, and more. Madeleine Designed specifically for the beauty industry. features an elegant design based on feminine script fonts, soft hues, and exquisite watercolor icons. It has everything to expose your services to your potential clients: the homepage includes plenty of well-converting call-to-action elements, so you can freely use it as a landing page. 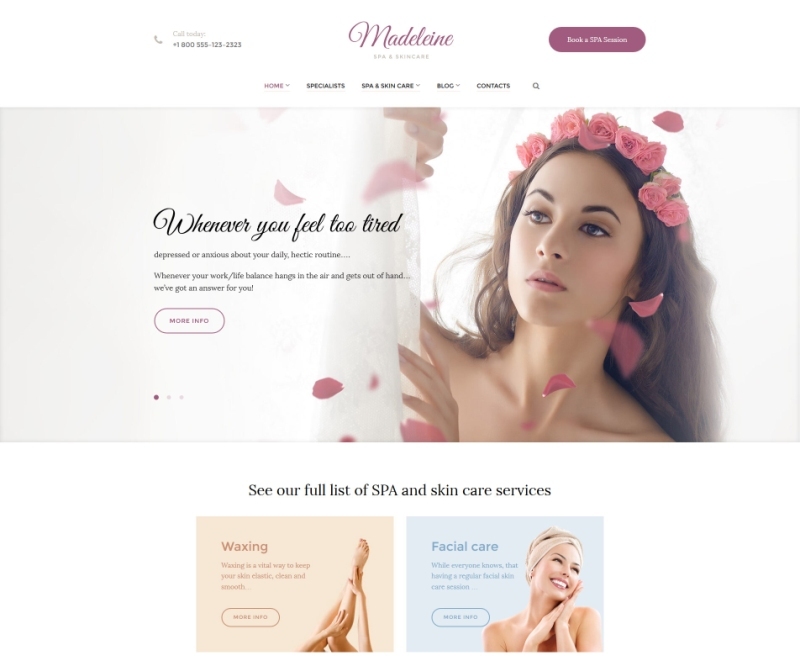 As for the layout, it can be easily modified to the several variations of headers, footers and blog layouts, which come with this theme out of the box. 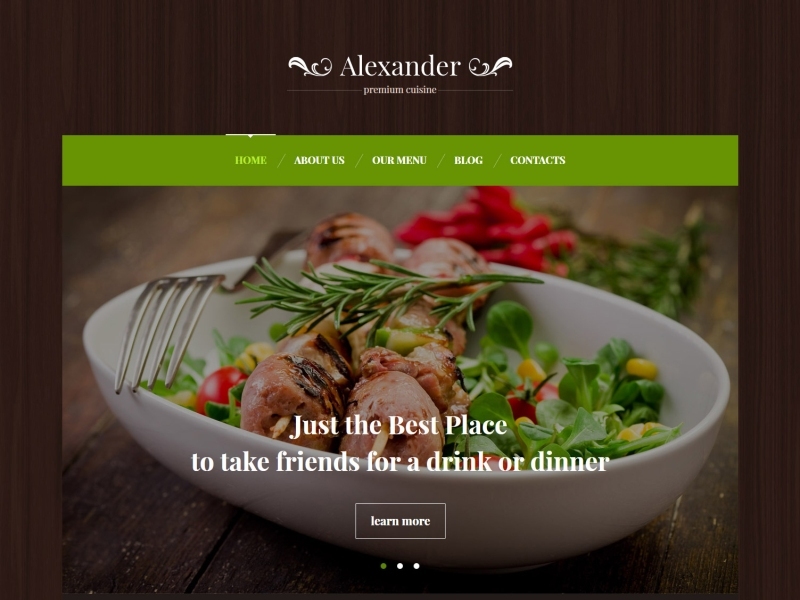 Premium Cuisine is a responsive WordPress theme is a great choice for restaurants, as it boasts a classy vintage-looking design, along with mouthwatering images. It’s boxed layout turns the homepage into an effective landing page, which will promote your best offers. The gallery has been restyled to match the topic of the theme, Now it displays the menu of your restaurant. With a drag & drop page builder, support for mega menus, and a package of source PSD files Premium Cuisine is a comprehensive design solution for any food-related business. 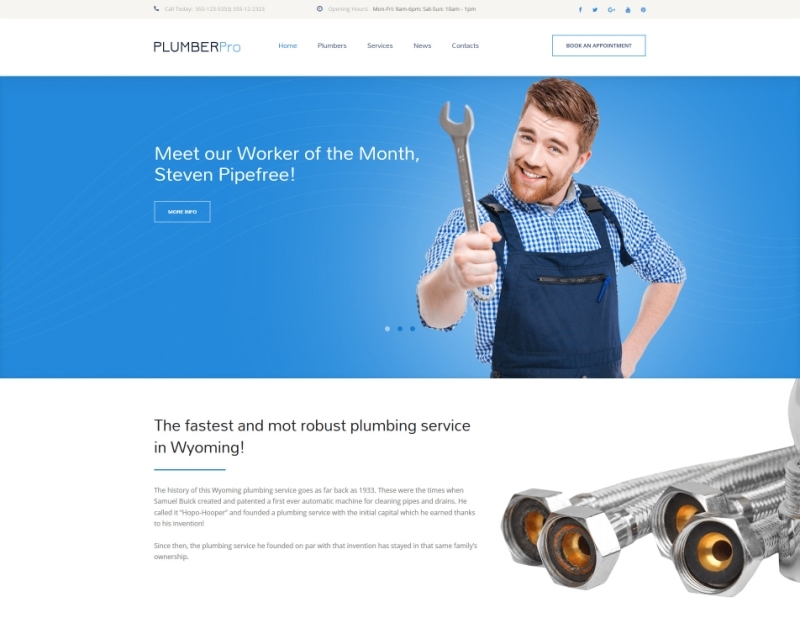 Plumber Pro is a robust WordPress theme for a broad range of companies providing maintenance services, but due to its multipurpose structure and design, it can be also applied to many other kinds of business websites. What makes it perfect for promoting maintenance services is the classic spacious layout with tabs. With its help, you can arrange more content using less space on the homepage. There are a lot of business-oriented content blocks and widgets such as testimonials, feedback forms, call-to-action buttons, and more. 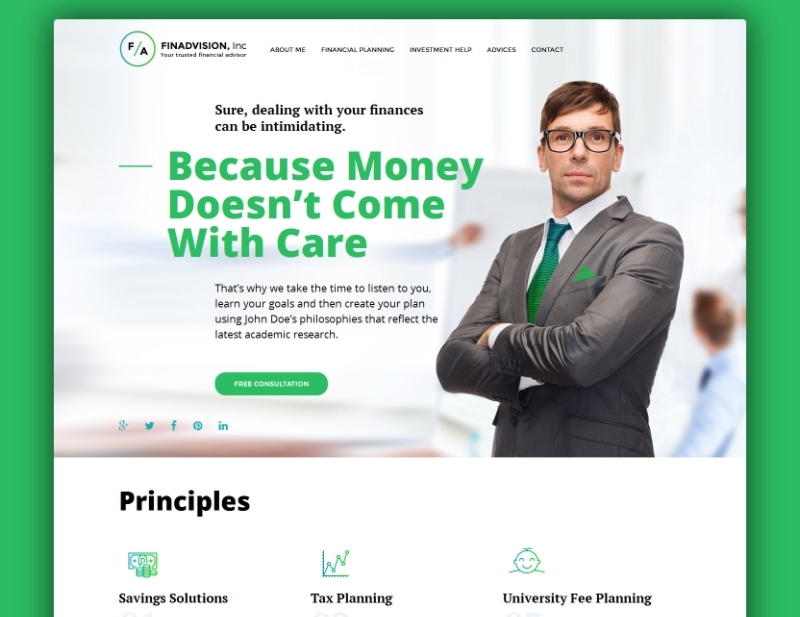 If your business is related to finances, check out this responsive Financial Advisor WordPress theme. It is best suitable for solopreneurs, but can be also used by small companies and bloggers. The design is based on various shades of green – a color commonly associated with wealth and success. 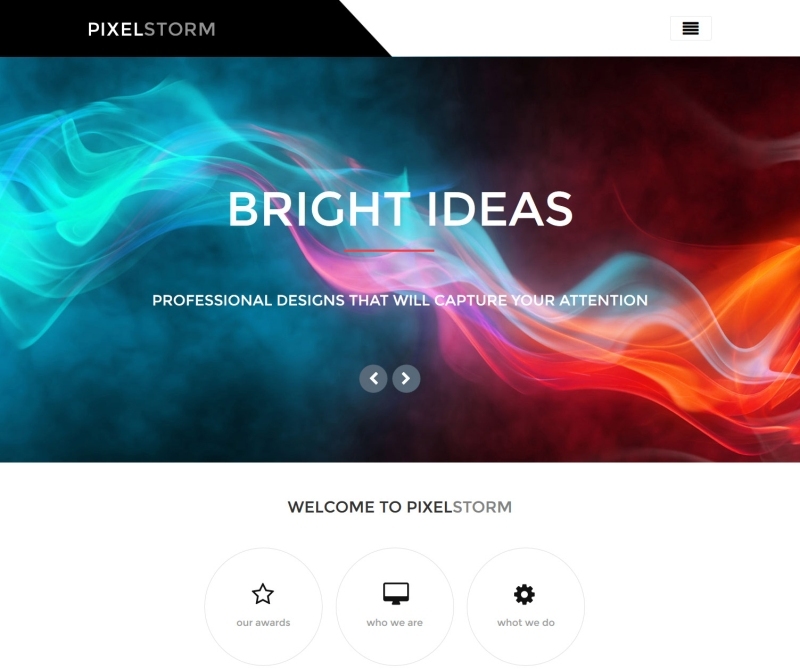 This theme is supplied with a choice of preset pages, integrated videos, and Google Maps. 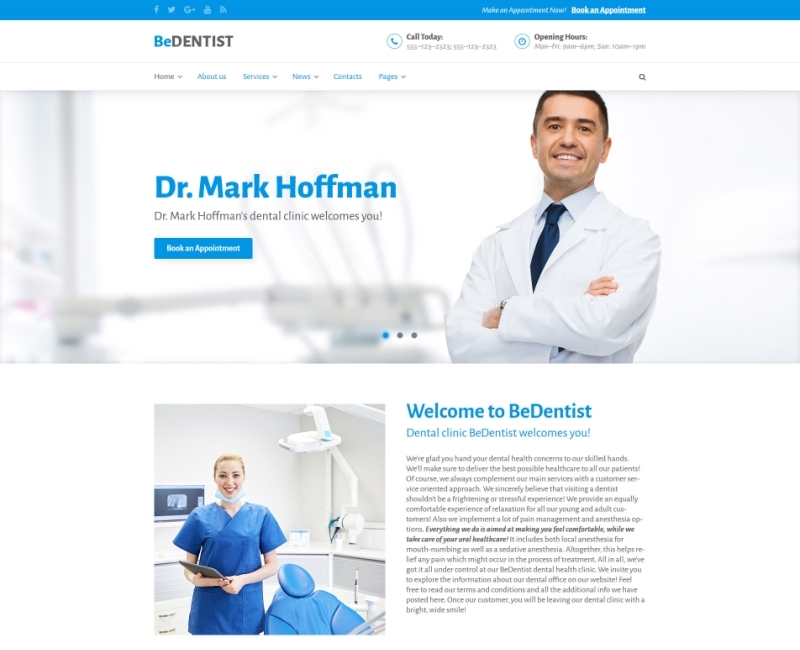 BeDentist is a multipurpose WordPress theme optimized for clinics and other medical institutions. It is built with Power – a professional drag & drop page builder, which allows you to create your own beautiful layouts in a matter of minutes. BeDentist comes with an Appointment plugin built into one of its readymade pages. With its help business owners and administrators can effectively organize their schedule. This WordPress theme is GPL-compliant and offers a broad choice of blog layouts and post formats. It’s feature content module allow you to add multiple contents types to your page. This includes button, images, pricing tables, contact forms, sliders and much more . 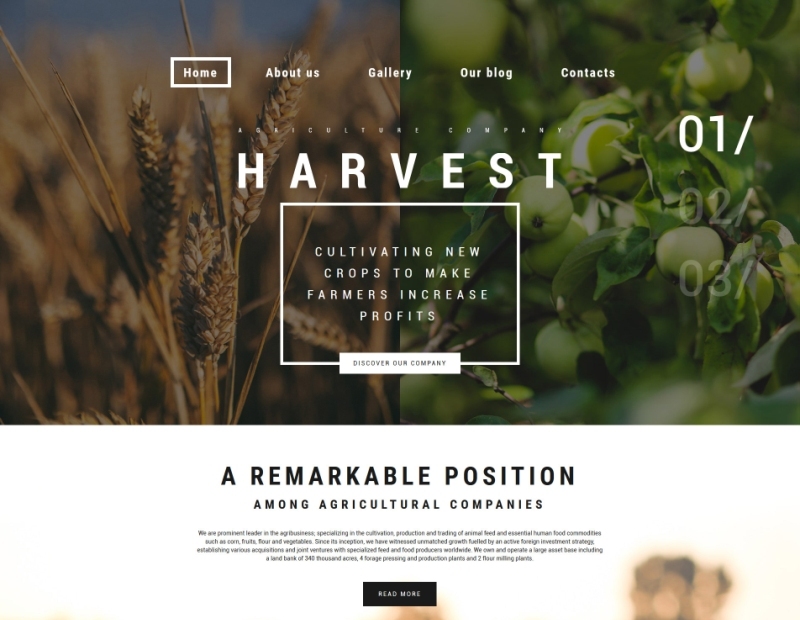 Harvest is nature-inspired WordPress theme will become a great foundation for any website related to agriculture, farming, organic food, and such. It boasts an image first layout with bold lines and fonts, parallax effect and profound gallery options to help you display your products in the best possible way. The homepage is consistent and content-intensive, so you will be able to grab the attention of your visitors immediately. Bon Voyage has been created with travel agencies in mind. It boasts an ultra-creative top area, which is divided into two uneven parts by a minimalist navigation bar, which dynamically expands when you click on it, revealing a simple drop-down menu. This theme comes with several different gallery layouts, integrated Google Maps, and is spiced up with modern CSS-based effects. 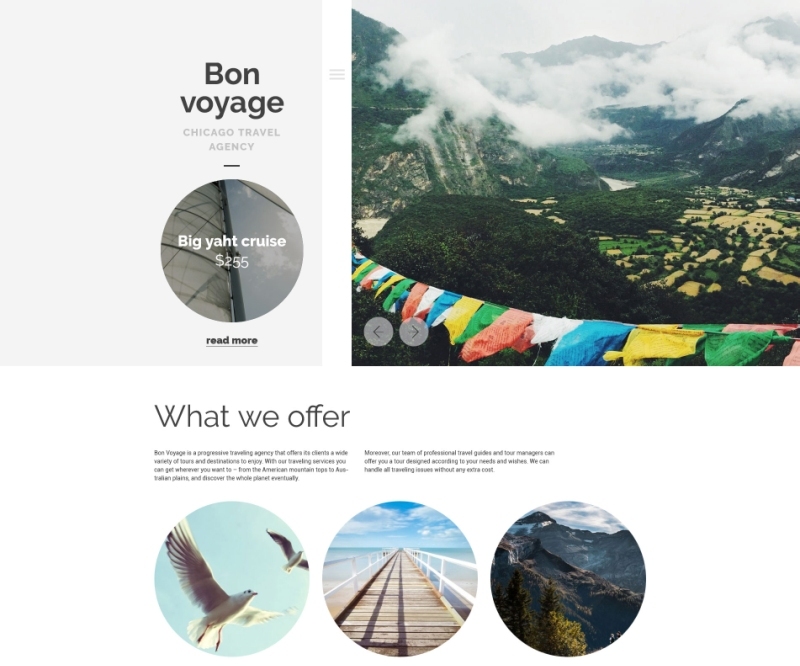 Bon Voyage WordPress theme can be easily modified, and used to power a website of a travel agency of any size, as it enables you to display available destinations, prices, and tour descriptions right on the homepage. 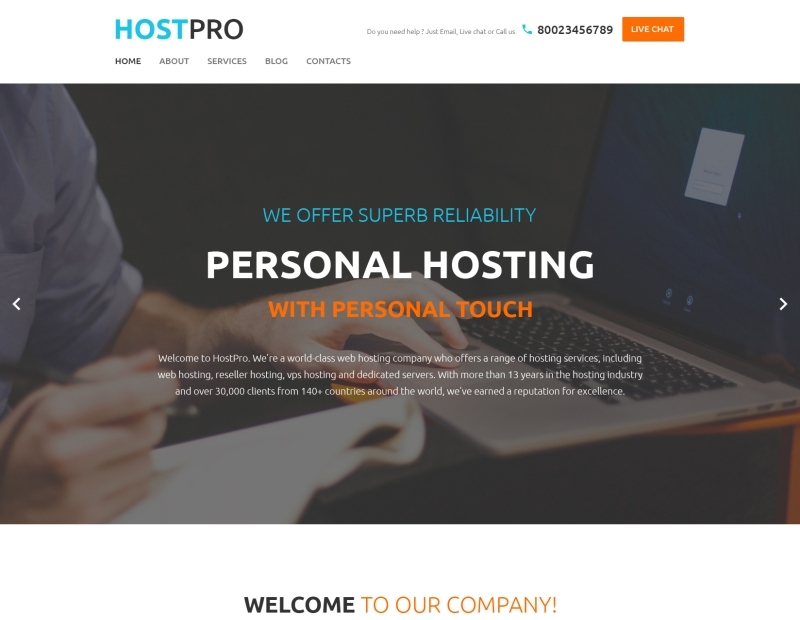 HostPro is an all-around WordPress theme for companies involved in the IT industry, and particularly – for hosting providers. Its modern, professional look is achieved by using an established color scheme (blue + white + gray) with bright subsidiary elements (orange buttons, headlines, and icons). The homepage of this theme is laid out in a way to put the advantages of your hosting services to the forefront. It features pricing tables, content blocks with your services, animated skill counters, and much more. 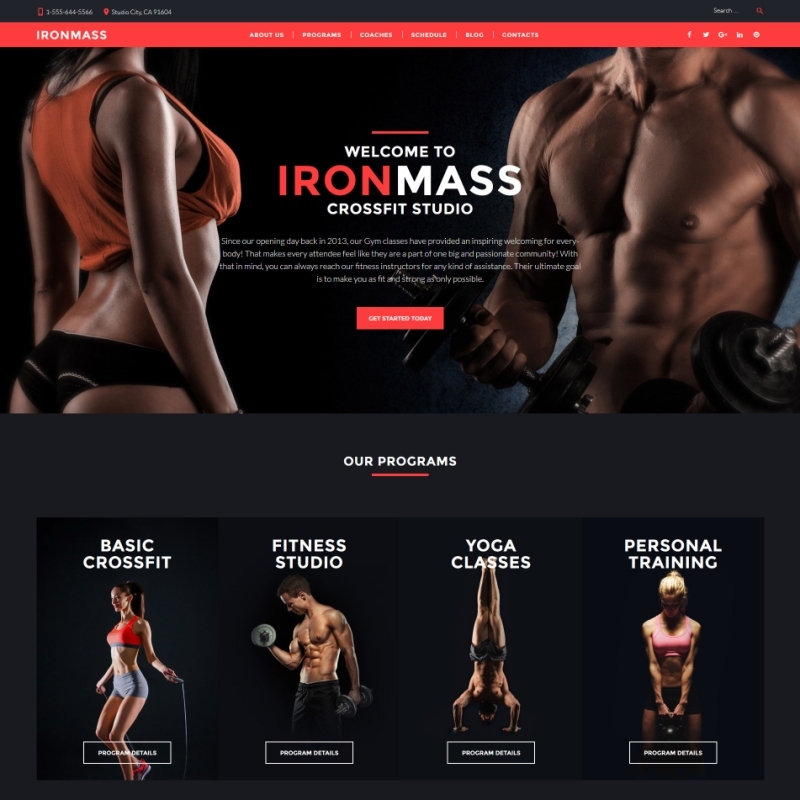 This responsive WordPress theme will help you promote your gym online without extra effort. Its extremely stylish design featured by a dark background and highly contrasting red call-to-action buttons are well-optimized to provide your website with high conversion rates. This theme comes with a unique Schedule page, which can be used to inform your clients about upcoming classes and events. IronMass is also very easy to customize: you can choose from a number of layout variations with one click. This bright and clean WordPress theme with clear-cut lines, colorful Images and innovative navigation can handle even an official website of a large design studio. It is creative and technically advanced at the same time, that’s why it can be used by web designers, game designers and other businesses related to digital art, design and web technologies. Its look is powered by low-poly backgrounds, hamburger buttons, and modern uppercase fonts. Real estate websites don’t have to look dull, uniform and obsolete (although, most of them do). 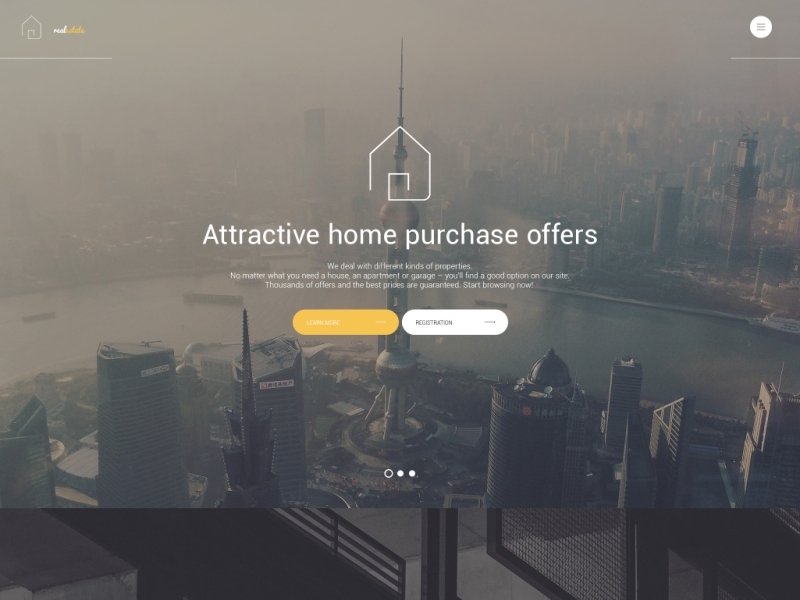 This responsive Real Estate WordPress theme is your surest way to make it out of the crowd without paying extra. It will brilliantly display your offers with the help of seamless tiled galleries, huge responsive sliders and fully customizable image-based content blocks. Of course, it has Google Maps integrated, so you can mark the location of your office or the apartments you sell in an interactive way. 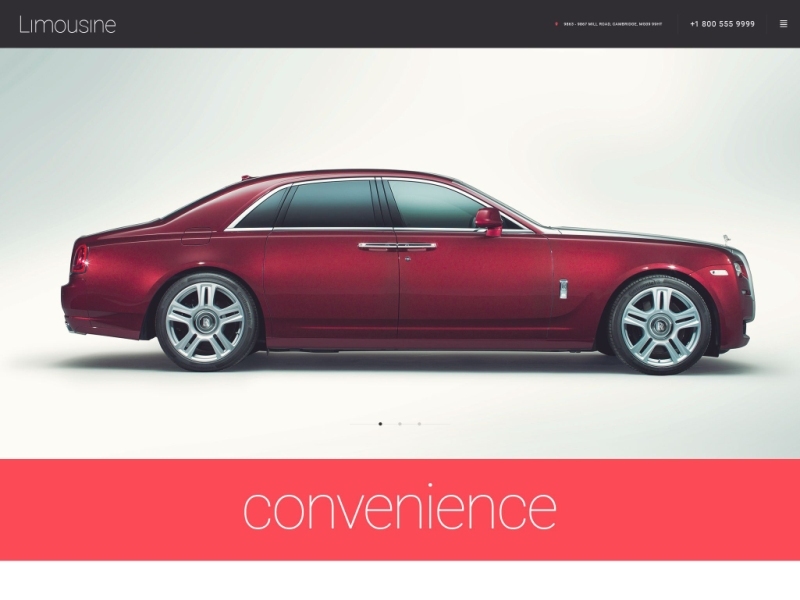 Want to launch a car rental service? You will need a really impressive website design to attract your visitors. Such as the one provided by this Monstroid WordPress theme. It’s long scrolling homepage with page-wide photos, large headlines, and inbuilt contact forms allow you to save on landing pages, as it is able to convert visitors just as effectively. Visual aesthetics is the most important aspect of every website, which owner is implied to be a creative person. That’s why websites of web design studios should have great design and flawless code and photo portfolio should… right, contain lots of high-quality photos. Director of Photography is a robust image-first theme spiced up with such contemporary visual effects as parallax and semi-transparency. This responsive WordPress theme has been created for those who want to make money online by offering paid educational courses. It is also perfectly suitable for political websites. 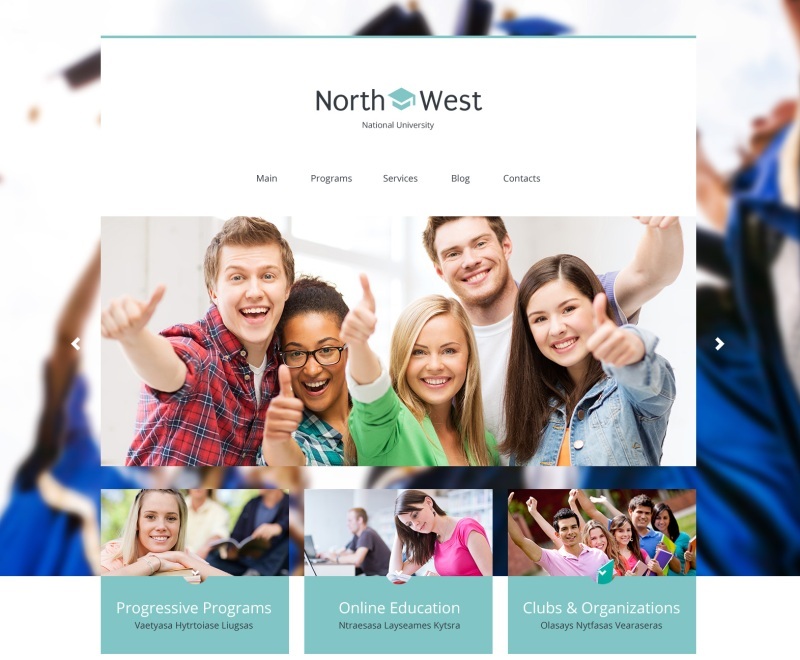 It boasts an easily scannable layout with parallax image blocks, tabs and specific areas for promoting your courses. This theme is a part of the Monstroid family, which means it is fully responsive, customizable and intuitive. 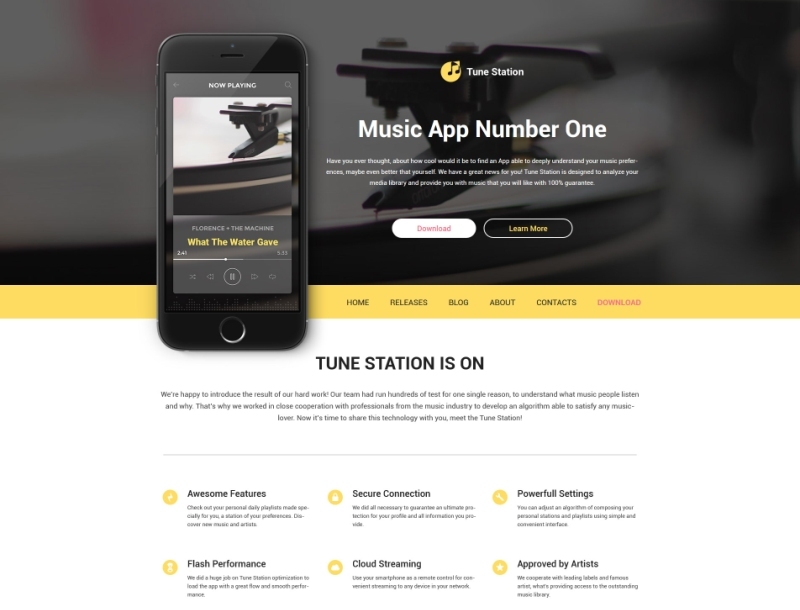 The last on our list is the WordPress theme for mobile applications, online services, and other web startups. Its well-thought-out structure, focus on social networks, and catchy call-to-action buttons make this theme a perfect display for your digital product. All you need to make it work for you is to replace the default text and images with your own. Thanks for reading our post about 15 Top WordPress Themes to Boost Your Business. We hope this post will help you to find a great theme for your business. Let us know you in the comments and remark below. If you are a new business owner this 15 Top WordPress Themes will Boost Your sells. I am really happy to get your valuable content. I always try to keep in touch with your blog also got lot of literature from you. Thanks a lot for sharing this content with us. Thank you for sharing great list of theme.